Sun Street Centers is happy to introduce our new Quarterly Newsletter, Just Beyond Peach Street! With the new year come exciting changes. Stay tuned! Winning the Chevron Charity Shoot-Out at the AT&T Pebble Beach National Pro-Am! Ryan Vogelsong and J.T. 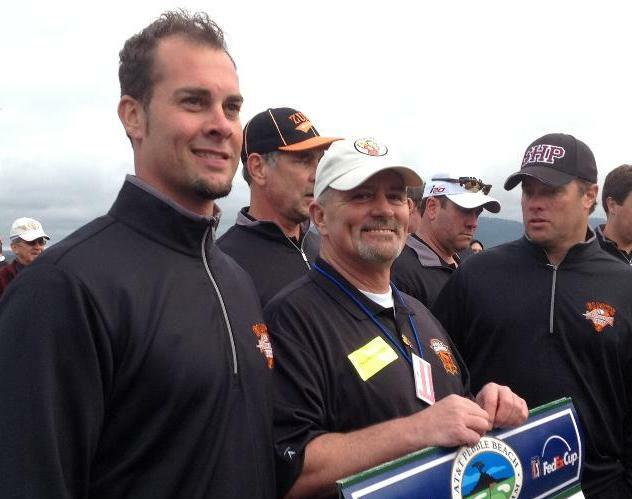 Snow of the San Francisco Giants won the Chevron Charity Shoot-Out at the AT&T Pebble Beach National Pro-Am. The first place position not only helped the San Francisco Giants win the golf tournament against the competing 49ers, but also helped raise $30,000.00 for Sun Street Centers. We sat down with Eddie Hathcock, Sun Street Center's Men's Residential Program Director, to talk about his background with Sun Street Centers and his experience in attending the Chevron Charity Shoot-Out at the AT&T Pebble Beach National Pro-Am, which allowed him to meet players from his favorite sports team, the San Francisco Giants. Eddie Hathcock arrived at Sun Street Centers on April 24, 2000, as a resident of one of our treatment programs. He was a heroin addict, had a few stints in county jail, and was coming off a life of homelessness, panhandling, and addiction. Upon arrival, Eddie almost didn’t even make it up the front stairs. With a mind frame that has since changed, Eddie is now 13 years sober. After 178 days in the treatment program, Eddie found himself not wanting to leave. A connection had been made, a lifelong relationship: the beginning of a clean and sober life. Shortly thereafter, Sun Street Centers decided to hire Eddie. It was a silly little job, no title, no description; he did whatever needed to be done; whatever he was told to do. He graduated and moved across the street to Sun Street Center's Transitional Housing Community and continued to work. After about three years it was time for him to move on. He still lived across the street but worked at a clinic across town. He gave back to Sun Street Centers by teaching a class every Friday and, no matter what, he attended the monthly awards ceremony. Another three or so years went by and Eddie found himself in a position to be hired back at Sun Street Centers as the Men’s Residential Assistant Program Director. He attended board meetings, he was doing reports, directing staff, and was also a counselor. He was promoted to Program Director in 2008. Eddie just graduated this last year from the Leadership, Education and Development Institute (LEAD) at the Community Foundation of Monterey County. Eddie now works with clients in recovery to continue what he learned while at Sun Street Centers. 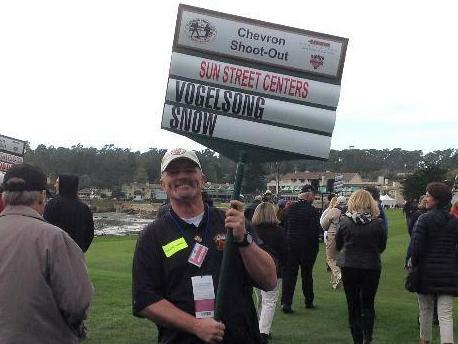 On February 5th, Eddie was able to represent Sun Street Centers at the Chevron Charity Shoot-out at the AT&T Pebble Beach National Pro-Am. Joined by Anne Leach, Anna Foglia, Roberto Garcia, Rocio Tovar and Sheryl Merrill, Eddie and the group headed to Pebble Beach to brave the cold and possibly win a little money. Eddie and Anne were fifth in making the team player selection for Sun Street Centers. Ryan Volgelsong and J.T. Snow were chosen as our players. Eddie was given the team sign to carry alongside the players. The celebrities had five holes to play with $20,000 on each hole (to be split half and half with their team’s foundation and the winning non-profit). If no one wins the hole, the money is added to the next hole. On the 5th hole, there was $60,000 at stake. Again, there were no winners. The authorities declared a “chip-off” that was open to all the players. With his fingers crossed, Eddie watched as each player took their turn. Ryan Vogelsong hit his ball a couple feet from the hole. The final players took their turns and there was only one other ball, played by Dwight “the Catch” Clark, that made it on the green. The measurement was taken and Ryan Vogelsong was declared the winner. Sun Street Centers had won $30,000! Eddie described his experience as one of the most memorable moments in his life. The Development Department would like to introduce its newest team members, Araceli Bernardasci, Marketing and Development Officer and Leslie Leach, Development Coordinator. 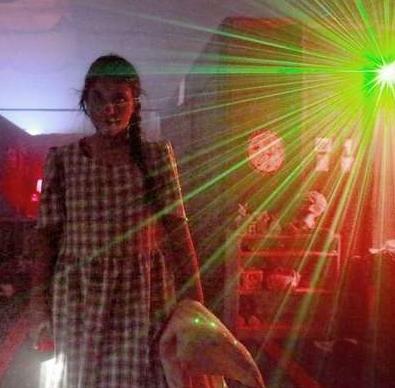 Both Araceli and Leslie have been key committee members in our Annual Castle of the Dead Haunted House events. Looking back on 2012, the Development Department had a great year! They exceeded their fundraising expectations with support from past donors and new donors. 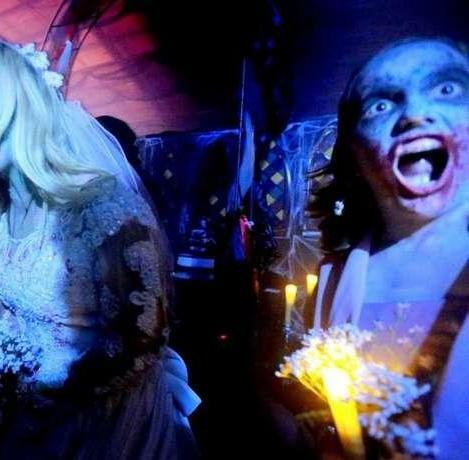 The 2012 Castle of the Dead Haunted House and Pumpkin Patch was a hit! 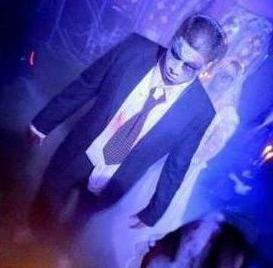 Over 1,000 visitors joined us for some spooktacular Halloween fun! This year's event will be held from October 26-31, 2013 and committee meetings have recently started. If you are interested in being a part of this wonderful community event. Please contact Sheryl Merrill smerrill@sunstreet.org. The dorms and Quiet Room at Men's Residential got a facelift! Hartnell Construction was a great help in the renovations! Martin Dodd, Sun Street Center's founder, and his family came by to visit the newly renovated space. It was a fabulous Christmas season for the families at Pueblo del Mar. Turning Wheels for Kids donated 53 bikes, helmets, and locks for the resident children. Seaside DUI, Marina Volunteer Fire Association, Calvary Chapel Church, Shoreline Church, Monterey Bay Christian Center and Yield Vessels Church also donated many beautiful gifts to the residents of Pueblo del Mar. Seventeen families were adopted this year. The highest number so far! 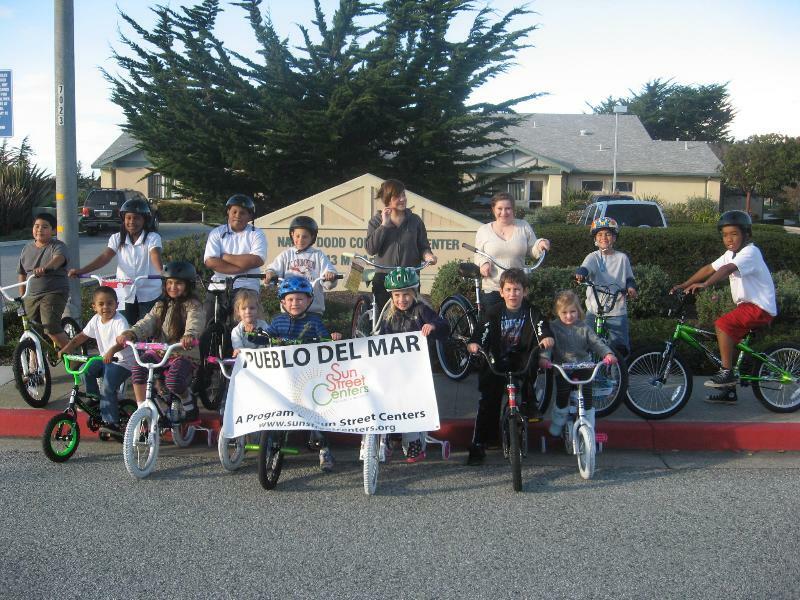 CSUMB and Pueblo del Mar have partnered up in a project for Pueblo del Mar's outdoor Garden. CSUMB helped build the planters and an overlaying cage to keep wildlife out. CSUMB staff have also provided the resident children with nutrition classes about what they are growing in the community garden. Welcome new Seaside S.T.E.P.S. (Safe Teens Empowerment Project), Ashleen Singh, Carlos Martinez, and Anthony Martin! (Left) Salinas S.T.E.P.S. 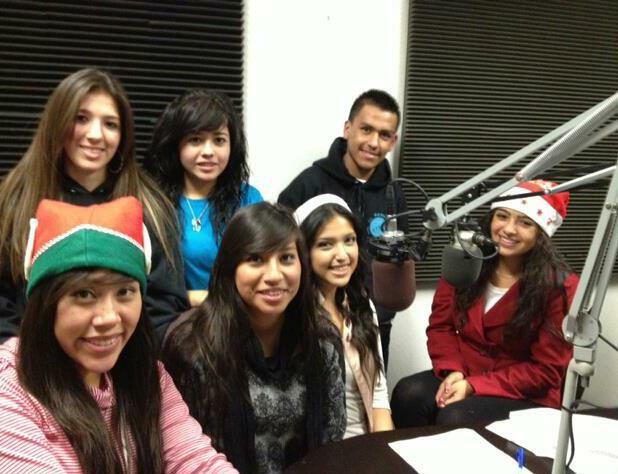 at the KDON radio station making a commercial! (Right) S.T.E.P.S. 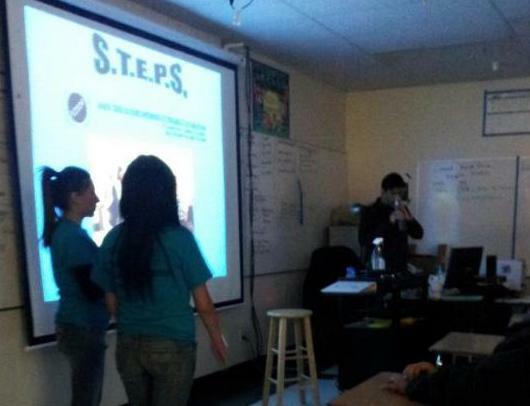 giving a presentation to Alisal High School about underage drinking. S.T.E.P.S. met at the Salinas Creek Park for a clean up day. Youth found empty liquor bottles and beer cans! If you know of any youth that are interested in the S.T.E.P.S program please inform Sun Street Center's Prevention Department at 753-5150. Congratulations to Sun Street Center's new DUI Director, Marciano Huerta!!! Marciano has been promoted from DUI Program Manager to DUI Director. 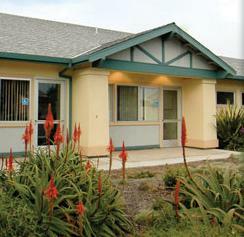 Marciano has a long history with Sun Street Centers. 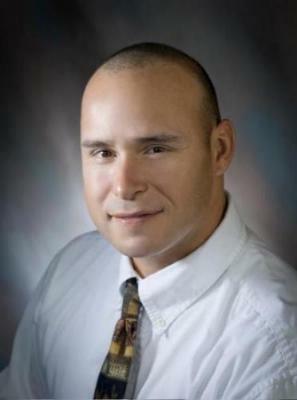 He has worked with Men's residential, Prevention and DUI counseling. He's also worked many years in the criminal justice system and is a graduate of Leadership Monterey. Copyright © 2013 Sun Street Centers, All rights reserved.